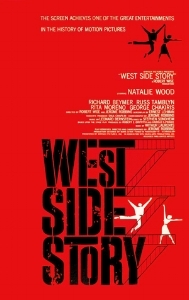 Well, the poster for West Side Story, the Academy Award winner for Best Picture from 1961, says it "achieves one of the great entertainments in the history of motion pictures." So, you can see what they were going for. This film took home ten Oscars after receiving eleven nominations. Also, what's up with saying anything like that on a movie poster? !